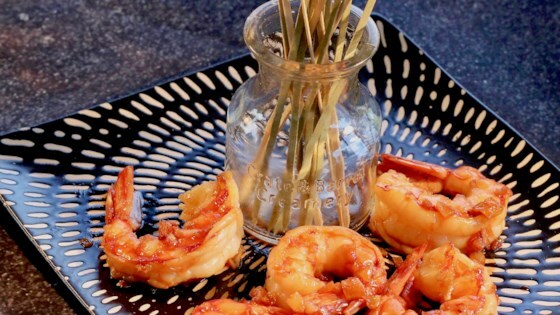 "A super quick and easy recipe for sauteed shrimp. Only cook them for a few minutes, and on high heat, so they stay tender. I season them with soy sauce instead of salt." Stir together soy sauce, water, and sugar in a small bowl. Heat oil in a large skillet over medium heat and cook garlic until lightly browned. Add shrimp in one layer and pour soy sauce mixture on top. Cook until shrimp are pink, 2 to 3 minutes per side. If your skillet is not large enough, cook shrimp in 2 batches.